The number of consumers buying and owning smart devices depends on which devices are considered smart and how the counting is done. For example, if smart televisions are included, the number of smart device owners will be relatively high, since just about any TV sold today is a smart or connected TV. Some studies include smart televisions as part of their count and others don’t. One study from last year just out this week showed smart televisions at a 39% adoption rate among people with Internet connections. That study reported that 80% of all consumers now report owning a smart home device. The study comprised a survey of ‘nearly 1,000’ Internet-connected U.S. adults conducted by Matter Communications in December 2016. It was commissioned by PlumChoice and the Z-Wave Alliance. A different study from this year pegged the number of smart home devices at 39 million total in the U.S., as I wrote about here (32% Say Smart Home Devices Too Expensive). That study, by BI Intelligence, did not include smart TVs as part of their smart devices count. Yet another study by Parks Associates this year said that 26 million U.S. broadband households now own at least one smart home device. As to percentage of households, the number also varies. 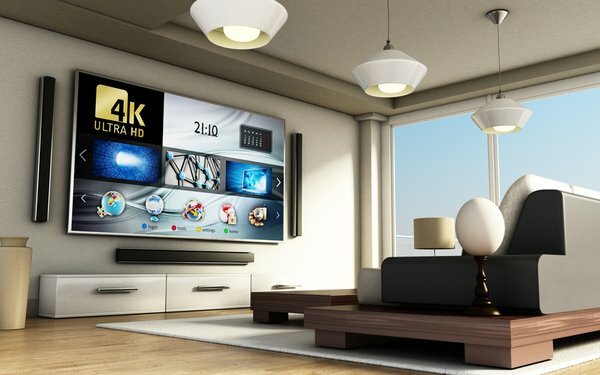 If connected televisions are counted as making a home ‘smart,’ then 74% of broadband households have a smart device, according to a survey of 2,000 U.S. adults conducted by The Diffusion Group this year. Another survey of 1,000 U.S. adults this year conducted by PwC found that 26% of consumers own a smart home product. No matter the specific numbers in any of the studies, the upward trend is clear. Numerous studies show various barriers to smart device adoption, most notably price and security. Over time, knowledge of the benefits of smart or Internet-connected devices will become more widespread. More significantly, as innovation, processing and transmission speeds continue, the actual benefits will increase. Smart home devices will be discussed at the MediaPost IoT Marketing Forum May 18 in New York. Here’s the agenda.